Your PhD paper took a lot of time, energy, effort, and nerves. Your future as a professional and academic practically depends upon the success of this project. Failure is not something you can afford. After all that research and writing, you’re down to the last step: dissertation editing. At this point, most PhD candidates decide to hire a professional editor. That’s a smart thing to do. You can’t edit your own work to perfection, since you’re too attached to it. It hurts to get rid of unnecessary parts when you spent so much time on them. You can’t see the gaps in logic, since you understand your own writing. The editor will make your doctoral paper more readable. They will make sure your point comes across as clearly as possible. At RushEssay.com, you can hire professional editors from any discipline. Our editors know how dissertations are supposed to look like. They will take care of the logical flow, style, structure, referencing, and all other aspects of your paper. Many of our customers wonder: “what will I get from your dissertation editing service?” That’s an important question. As any other PhD candidate, you’re afraid that the editor will change your personal voice and will make the dissertation unrecognizable. That won’t happen when you work with us. Logical flow. Your editor will pay attention to the gaps in logic. They will contact you to discuss potential improvements in this aspect. Academic tone. Our editors are trained in dissertation writing. They are aware of the standards universities impose. They will make sure your tone is adequate for this type of paper, and they will make improvements wherever necessary. Perfect grammar, language, and punctuation! The editor will make sure your content is flawless in terms of language use. Improved sentence structure. Sometimes you get carried away when you follow the flow of your thoughts. The editor will check and improve the sentence structure throughout your content. Formatting and Referencing. You’ll get a perfectly formatted paper from our editing service. The editor will follow the strict standards of your universities. In addition, they will make sure the references are properly formatted, according to the citation style you follow in the document. Formatting – We’ll forward your document to a trained editor, who will bring it to the perfect format. The formatting standards of universities are very strict. You need the right font, chapter structure, and page margins. In addition, a single comma makes a difference in the references. Proofreading – This is the final step, which follows the editing process. It’s focused on language, sentence structure, spelling, and punctuation. If you need proofreading help for an affordable price, our website is the right place to get it. Are you wondering why you should hire Rush Essay for the final stage of dissertation completion? There are many reasons that make our website the right choice. The ordering process is really simple. We’ll keep your documents and private info safe. We never disclose this information to third parties, regardless of the circumstances. Our policies are transparent. There are no hidden charges and unwanted surprises. The prices are affordable. At our website, you’ll get top-quality editing help for a discounted price. The support system works 24/7. Contact us at any time! 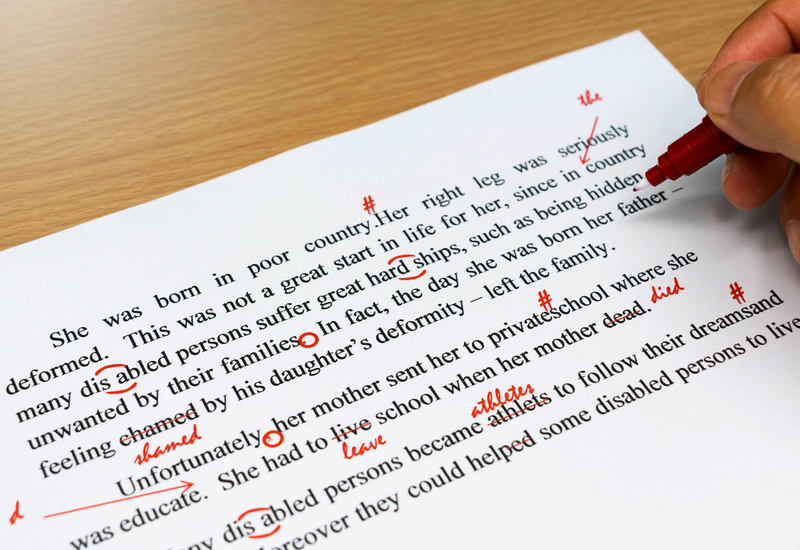 Our editing service will make you more confident in the quality of your dissertation. Hire us today!